JotForm may not be working correctly ? independent testing works fine, they opt in the email and get acces to the ebook. 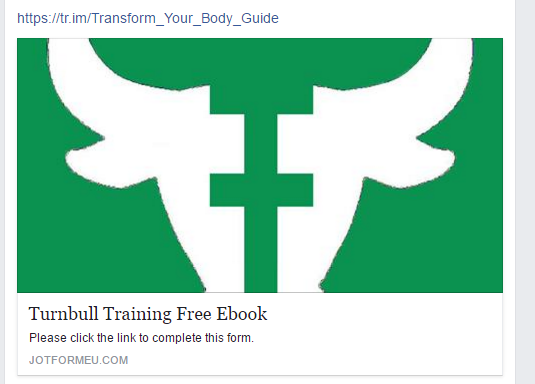 However when I promote this start link on face book or twitter , nothing. I feel like something is wrong and people are not getting access somewhere down the line, can you help me ? You do not have any fields in the form, but I can see that you have integrated it with Google Drive. Facebook allows me to post the link on my wall so I don't think there is an issue with your form. When the form is submitted, it is set to redirect to your MailChimp form (http://wix.us11.list-manage.com/subscribe?u=3edbe4d71dd67da0566b46ebc&id=8d1cb73e82). If you want to collect leads and be able to see them in the form submissions page, you may consider adding the Name and Email fields in the form and use our MailChimp integration as opposed to using a MailChimp form as your redirect. You are currently using a two-way process, you can combine all in Jotform.